I've been lucky enough to cover 25 Duke vs Carolina games so far in my time at ABC11. The Blue Devils have won 14 of them to the Heels 11. I remember the moments most of you probably do, but what I enjoy the most is the feeling I get just before the game starts, the intoxication of knowing I'm at the center of the sporting universe in that moment. Knowing how fortunate I am to be court side for an event that many spend their lives dreaming of attending. Anyway - now that you good Wolfpack people have ground your teeth to a nub, let's move on. 1. Carolina brutalized Duke on the glass in their most recent meeting, out-rebounding the Devils at Cameron last March to the tune of 64-29. It was unfair. Brice Johnson and Kennedy Meeks looked like a couple of over-sized, overage kids in a youth league game gone awry. Johnson and his relentless jumping jack attack has obviously moved on to the NBA, but it sure feels like this is where the game will be won again. Carolina is the top rebounding margin team in the country, and it isn't even close. They grab 14 more boards per game than their opponents and on an average night launch an assault on the offensive glass that grabs them 16 second chances per game. 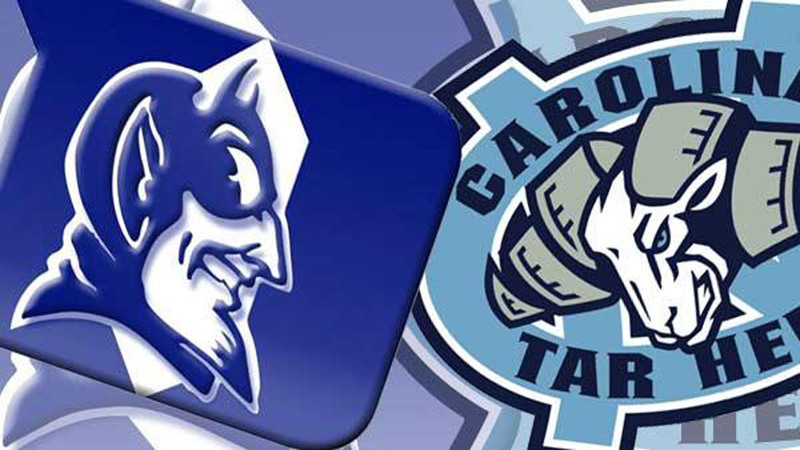 MORE: Awaiting UNC, has Duke finally turned the corner? Duke had no one but an over matched Marshall Plumlee to handle the onslaught last year. He's gone, but with the likes of Amile Jefferson, Harry Giles and Jayson Tatum in there now, I wouldn't expect such a mismatch this time. Marques Bolden has struggled to find his form this year, but that big frame of his could come in very handy. That said, Roy's experienced crew should still enjoy an advantage. Meeks and Hicks with a dollop of Bradley, Maye and an occasional Pinson pitch-in is hard to match. Outside of those two story lines, it's nothing fancy. Whose best players will play best? Luke Kennard and Grayson Allen vs Justin Jackson and Joel Berry. Kennard and Jackson have raised their games to new levels this year. Allen and Berry are proven killers. We know one thing only - it's gonna be a show. Awaiting UNC, has Duke finally turned the corner?